VDOT is in the process of repaving and restriping Telegraph Road and that’s good news for people driving, bicycling, and walking. 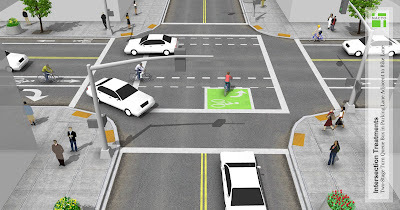 In 2016, the Fairfax County Department of Transportation (FCDOT), in coordination with VDOT, approved a new striping plan for Telegraph Road that will upgrade the existing bike lanes by adding a two foot painted buffer between the vehicle lanes and the bicycle lanes. This new design should make bicycling In the corridor more comfortable and enjoyable. As part of the repaving and restriping project, Fairfax County’s first two-stage left turn will be installed at the intersection of Telegraph Road and Beulah Street. 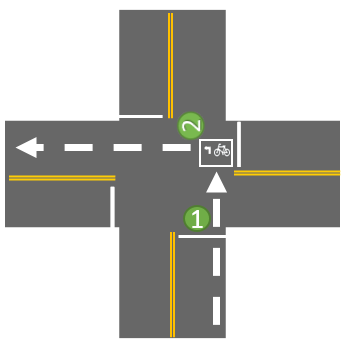 A two-stage left turn offers people bicycling a safer way to turn at multi-lane intersections and helps create predictability for drivers. The diagram on the right shows how this works in two phases. 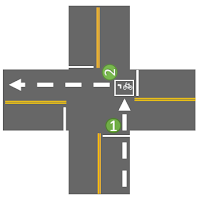 In stage one a person on a bicycle rides straight through the intersection with a green light and then waits in a “bike box” in front of vehicle traffic at the cross street. 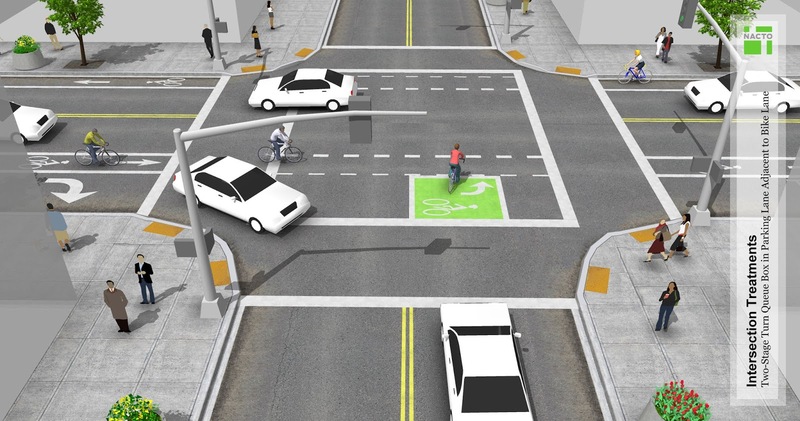 In stage two, the light turns green for the cross street traffic and the person bicycling can then proceed through the intersection into the bike lane.